Ready to serve her community at a moment's notice, our sweet officer keeps neighborhoods safe and comes to the aid of all those who need her. 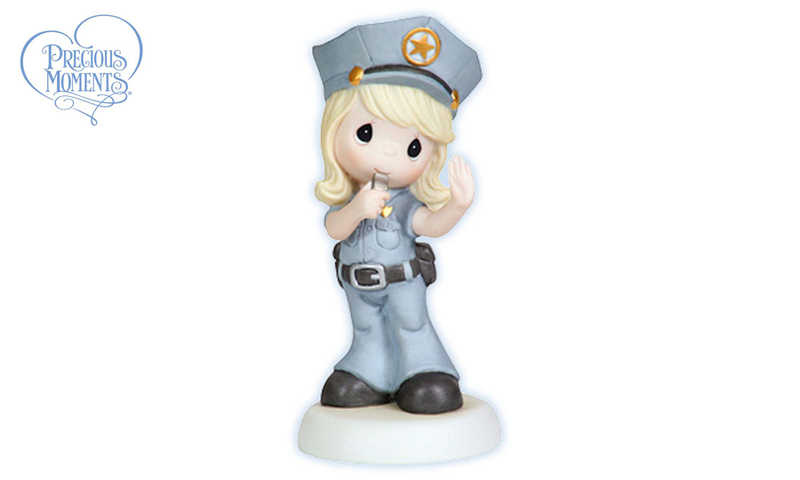 She's a lovely tribute to both the women and men who live for the love of the law. Bisque porcelain figurine. 5 " H.
Item#: 112017 - Height: 5 "